Are you guys tired of vanilla cake yet? I never thought I’d say this, but I kind of am too. The good news is, we have a winner! After my last attempt, I was feeling kind of discouraged but after some brainstorming, I knew what I had to do. The texture of the Sprinkles copycat cupcake was exactly what I was looking for and I knew that more vanilla was all it was really missing. I took the original recipe, substantially upped the vanilla extract and added a new-to-me ingredient: vanilla bean paste. A little pricy, but worth it. It made all the difference. This cake recipe is a triple threat. The batter tasted great, it made the house smell amazing when it baked, AND the finished product tasted phenomenal. In addition to the perfect texture, moisture and sweetness, this cake now has that rich, buttery, wholesome vanilla flavor I’d been dreaming of. Dare I say it? These are better than my favorite Crave cupcakes (now if only I could duplicate their buttercream). I used this recipe to make the shower cake for last weekend and I got lots of compliments on it. I’ve finally found my go-to! Get ready to see it any time I need vanilla cake from here on out…I think you’ll love it as much as I do. Preheat the oven to 350°. Line 2 standard muffin tins with 24 cupcake liners. Sift flour, baking powder, baking soda and salt together in a small bowl and set aside. Cream butter and sugar in the bowl of an electric mixer fitted with the paddle attachment until light and fluffy. Add the eggs one at a time, beating to combine after each addition. Add vanilla extract, vanilla paste and sour cream, beating until just combined. Reduce the mixer speed to low and stir in the flour in a few additions. Remove the bowl from the mixer and stir the last bit of flour in with a spatula until just combined. Do not over mix. 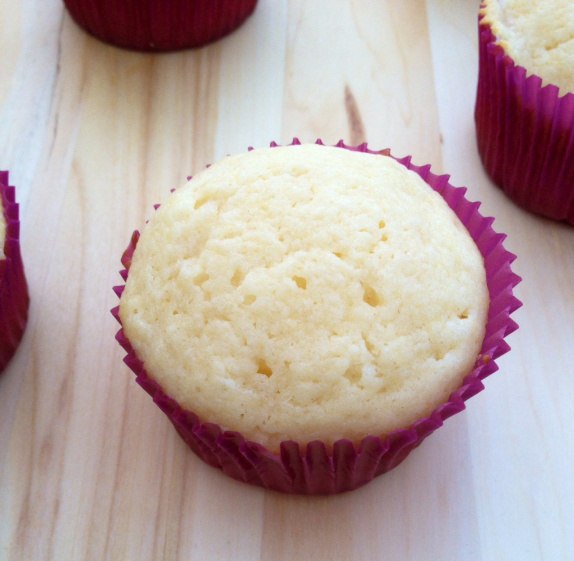 Scoop the batter into cupcake liners and bake for 18-22 minutes or until a toothpick inserted into the center comes out with a few clinging crumbs. Allow to cool completely before icing. 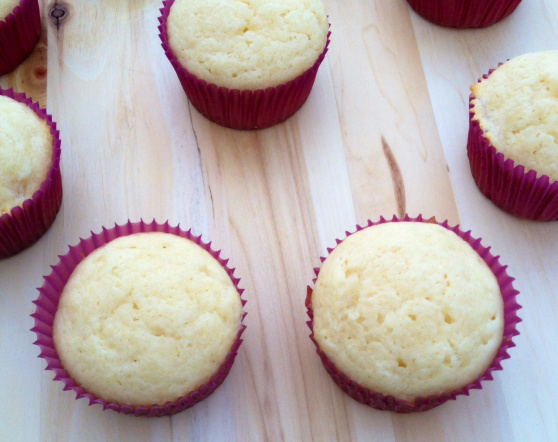 I’m going to make these tonight…. Any hints on where to buy vanilla bean paste?